Yes, this vegan cheese is the furthest thing from the standard cheese that you are used to. No dairy or gluten or basically anything is included in vegan cheese, but somehow it melts, and while this is up for debate (my opinion in a bit), it is supposed to taste just like real cheese. That is in theory of course. It was up to me to decide how it reacts in practice. Before we get into taste, let’s actually look at what is in this vegan cheese. Filtered water, tapioca and /or arrowroot flours, non-GMO expeller pressed canola and /or non-GMO expeller pressed safflower oil, coconut oil, pea protein, salt, inactive yeast, vegan natural flavors, vegetable glycerin, xanthan gum, citric acid (for flavor), annatto, titanium dioxide (a naturally occurring mineral). There is no way I can go through each ingredient and explain their significance in this product. I am not even sure anyone besides Daiya employees could do just that. Some can argue, and maybe rightfully so, that these many ingredients in one cheese product is just insane. (Do YOU know what annatto is? I surely don’t.) However, I would imagine that Daiya would argue that all these ingredients help create a very cheese-like product that vegans can enjoy on their mac-n-cheese or grilled cheese sandwiches. Like I do with all of the cheeses I use, I tasted this cheese prior to cooking. I was intrigued and had high hopes. Unfortunately, as soon as I stuck one shred of this vegan Cheddar in my mouth, my high hopes were dashed. Well, they were dashed as far as I would never be eating this cheese straight from the bag. The taste is simply incomparable to real cheese and the texture was just weird. Plus, after having a good amount of these shreds in my hand, the vegan Cheddar left a greasy residue all over my fingers. I would imagine that not many people, vegans included, eat this cheese plain, right out of the bag. 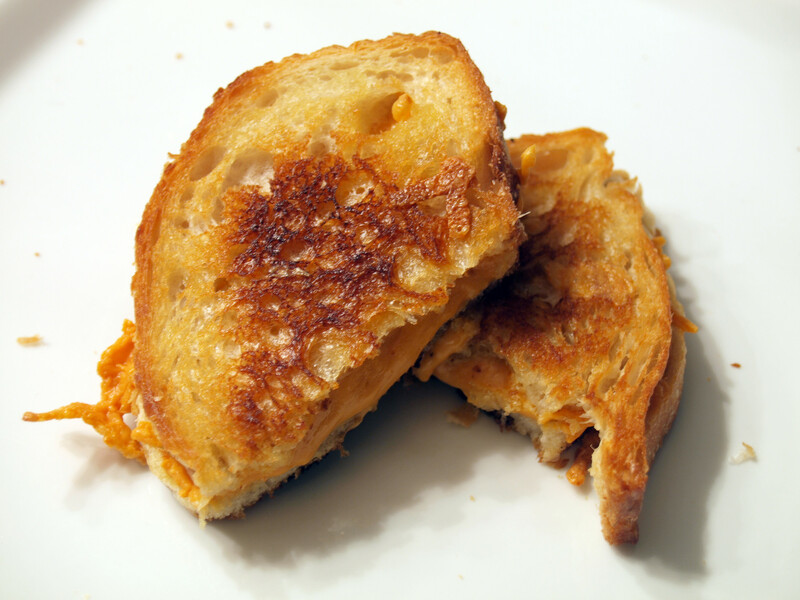 It was now time to see how the cheese performed in a grilled cheese sandwich. 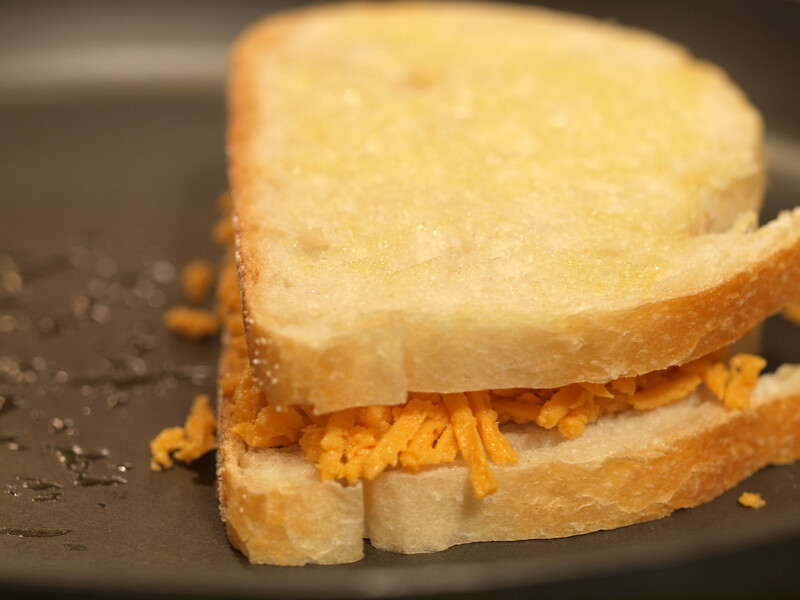 I wanted to truly taste the vegan Cheddar so I decided to go very plain with this grilled cheese sandwich: cheese and bread only. Since the butter I normally use is most definitely dairy and I wanted to make this sandwich dairy-free, I used olive oil on the bread. 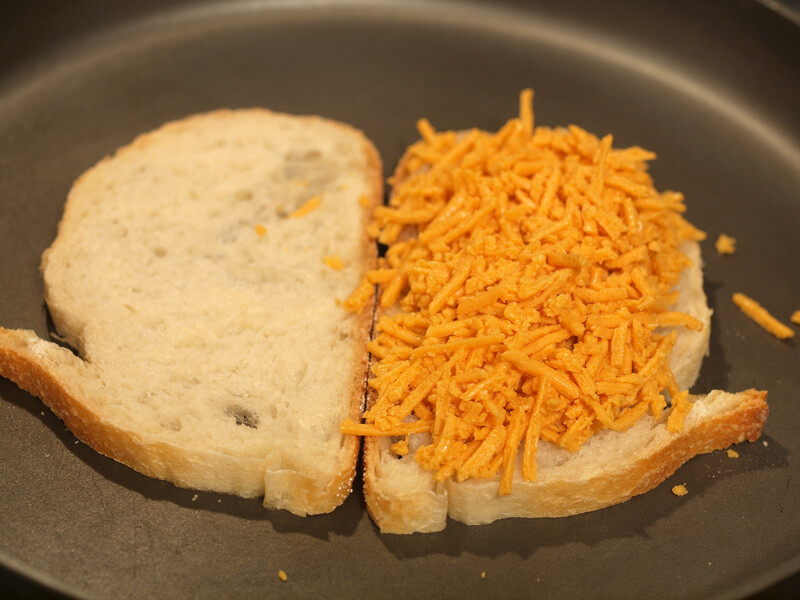 I chose Italian bread as I did not want the bread to overpower the flavor of the cheese. Plus, this Italian bread from Whole Foods is just all around great. Overall, the Diaya vegan cheddar “cheese” was a mixed bag of both good and bad. It definitely melted and the texture was as good as advertised. If I was only concerned with meltability, I would have been extremely impressed. However, I also had to worry about taste. 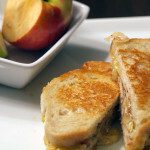 The plain, grilled in olive oil, Italian bread actually overpowered the flavor of the cheddar. The taste was very mild and just odd, maybe even waxy. It did not reflect the actual flavor of what I believe cheddar cheese tastes like. For vegans, this may be a good (great?) replacement for cheese, I do not know. 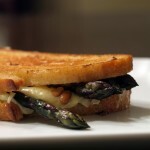 (If you are a vegan and have tried this cheese, please let me know your personal experience in the comments.) However, for me, the vegan Cheddar just was too blah to make a point of trying again. 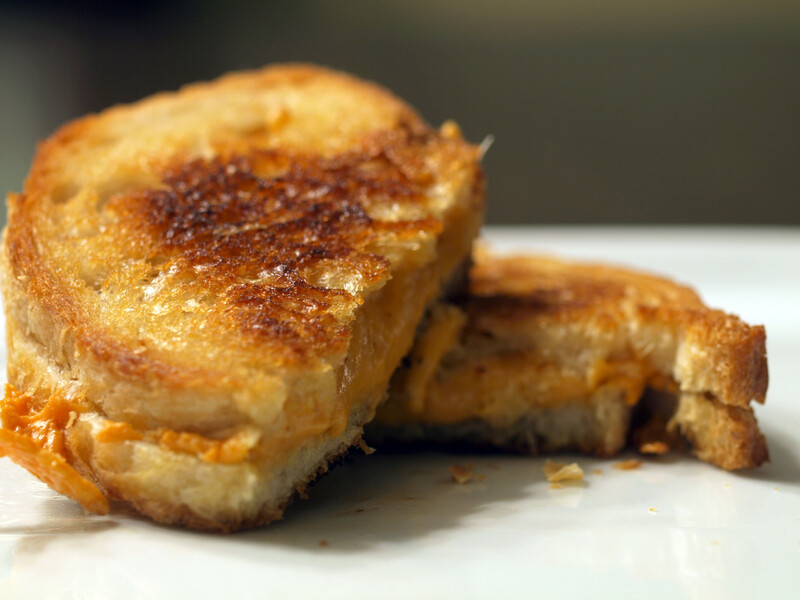 I will definitely be sticking with the very yummy real thing when making a grilled cheese. 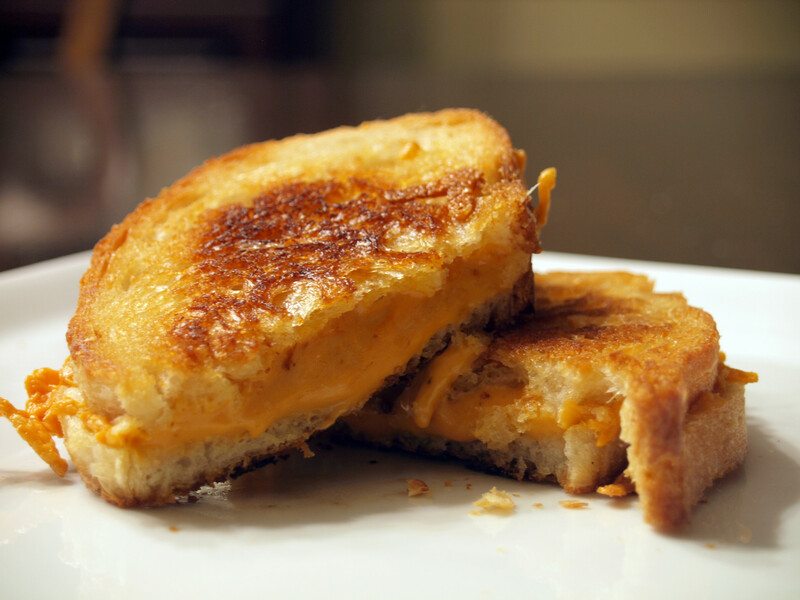 Posted in Grilled Cheese and tagged b minus, cheddar, daiya, grilled, italian bread, vegan. As I commented on Facebook, soy cheese just doesn’t do it for me. The taste is nowhere near real cheese, and the texture isn’t even similar. Unlike soy meat substitutes like bocaburgers, though, there’s no redeeming good taste. If you eat a bocaburger expecting it to be as good as a nice juicy beef burger, you’re going to be disappointed. However, if you eat it knowing it’s a veggie burger meat substitute thing, but with its own merits and flavors, it’s pretty good. Soy cheese, even knowing it’s soy cheese, never tastes good. 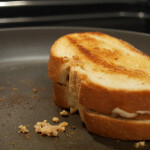 Perhaps if it’s well mixed into something where it’s barely a contributing flavor I could be convinced to eat some, and I applaud your experimentation, but it’s just not something that I think has any merit in a good grilled cheese. Thanks for the valiant Daiya test 🙂 I eat a vegan diet as much as I can — sometimes the situation I’m in doesn’t allow for both eating and being vegan. I miss cheese. My digestive system rebels when I eat it but I do miss it. I pretty much agree with your description of Daiya and the poster above of soy cheese (*never* eat the stuff no matter how much I crave cheese because it is never pleasant and never satisfies the craving). When I first read about Daiya I dismissed it as another poor substitute. Then I started reading rave reviews claiming it is not like the other imposters so I picked it up. Yes, it is not cheddar and probably not for those who eat real cheese but when incorporated into a dish (including some of your recipes for wonderful, but not so plain, grilled cheese sandwiches) with sufficient other flavourful ingredients it does actually satisfy my cheese craving and that is a first. So for someone who can’t eat cheese, Daiya is a welcome product indeed and the only acceptable substitute I’ve tried so far. Thanks for the article. For those of us vegans and people who cannot eat dairy for GI issues, Daiya has been a great find: in calzones, puff pastry dishes, and soon to be made grilled cheese. 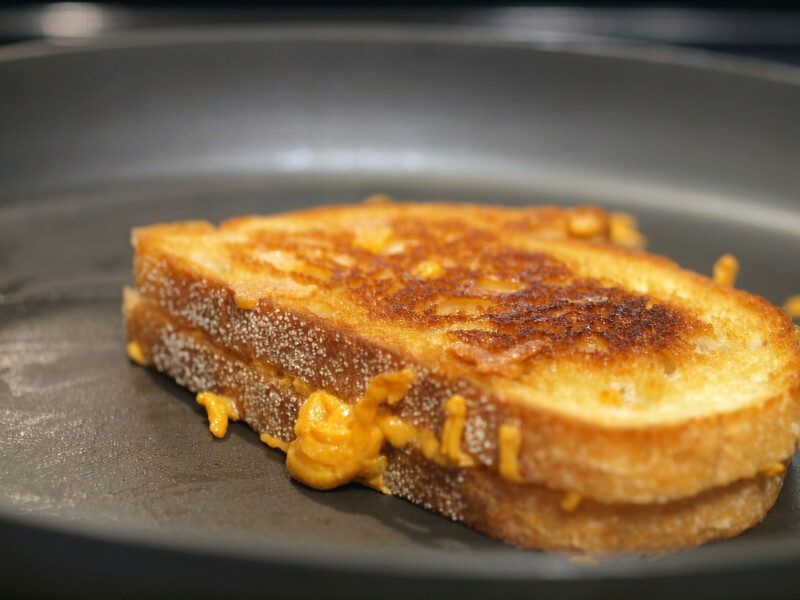 We know it is not close to dairy cheese, but it is a welcome addition to our kitchens as we can have a melty somewhat gooey dish reminiscent of dairy cheese . 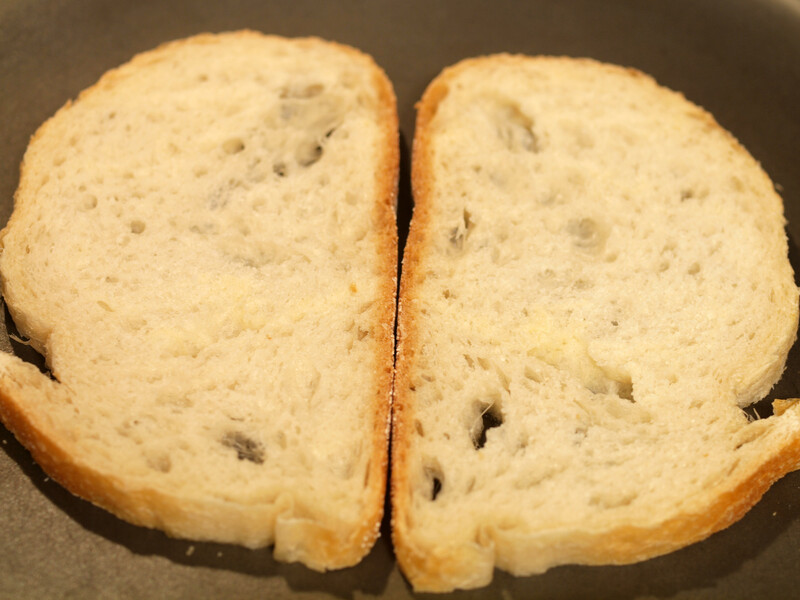 My daughter must not eat gluten and she has developed unbelievably delicious cakes and dishes, but not bread…perhaps you have ideas for edible tasty gluten free bread? I think once you’ve given up cheese for awhile you forget what the “real” thing tastes like, and the substitutes aren’t as “off” tasting. I’m vegan, and I don’t mind the occasional substitute of meat or cheese, although I try to limit them because they can be so processed and contain so many ingredients! But yes, if you are comparing it to real cheese that you just ate yesterday….it is hard to feel like it is close to the same thing. If you haven’t had real cheese for half a year or so…it seems much more like the real thing! The Daiya cheese is the best vegan cheese on the market. Since I have’t eaten real cheese in over 14 years, this fits the bill. Yummmy! 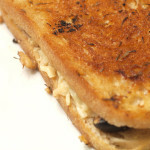 Biocheese and tofutti’s cream and ricotta cheese are excellent substitutes..I reccomend trying one of those 3. 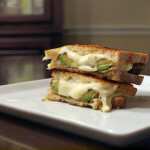 Yet to try the daiya, though I’ll be making a vegan grilled cheese sandwich for my partner soon and he’ll be finding out for me!